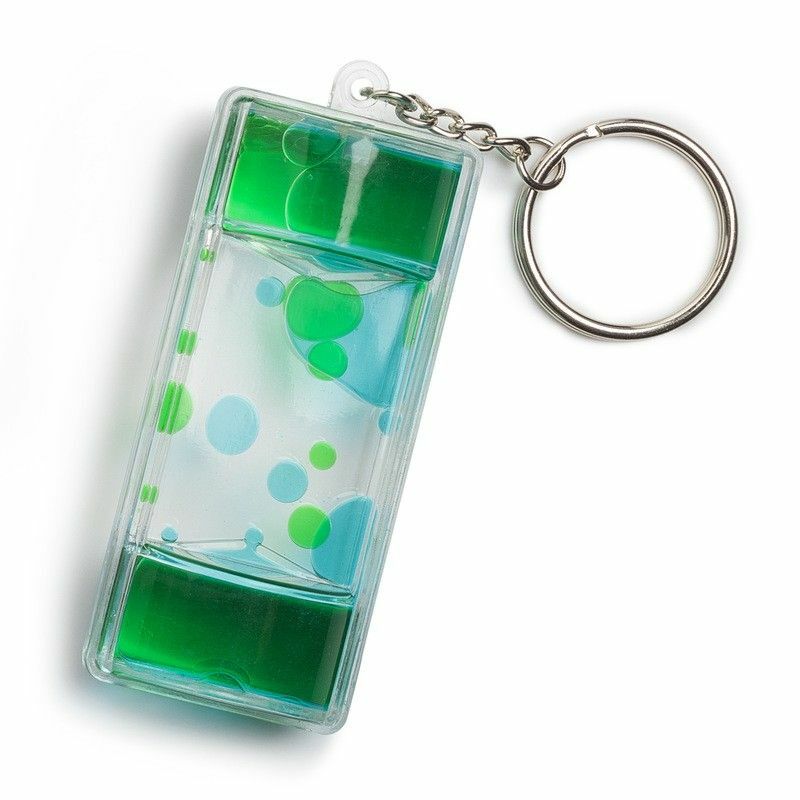 Retro liquid-filled keychain accessory with swirling colourful patterns inside. 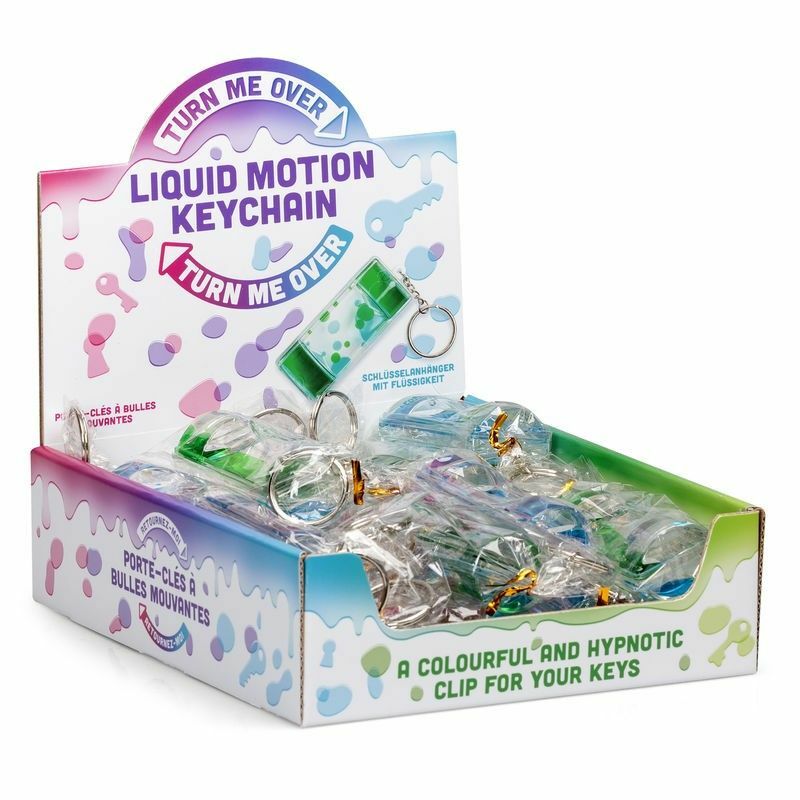 Tilt and turn the keychain to see the two liquid colours inside flow from one end to the other, swirling and dancing around each other. The effect is almost hypnotic!